Originally called Mountainwood, Adora Trails started life as a low density master plan community comprised of 800 homes on 850 acres. Taylor Morrison acquired the site in 2009 and enlisted Iplan Consulting to design and process a new master plan concept which would ultimately offer 1830 homes and 30 miles of trails. 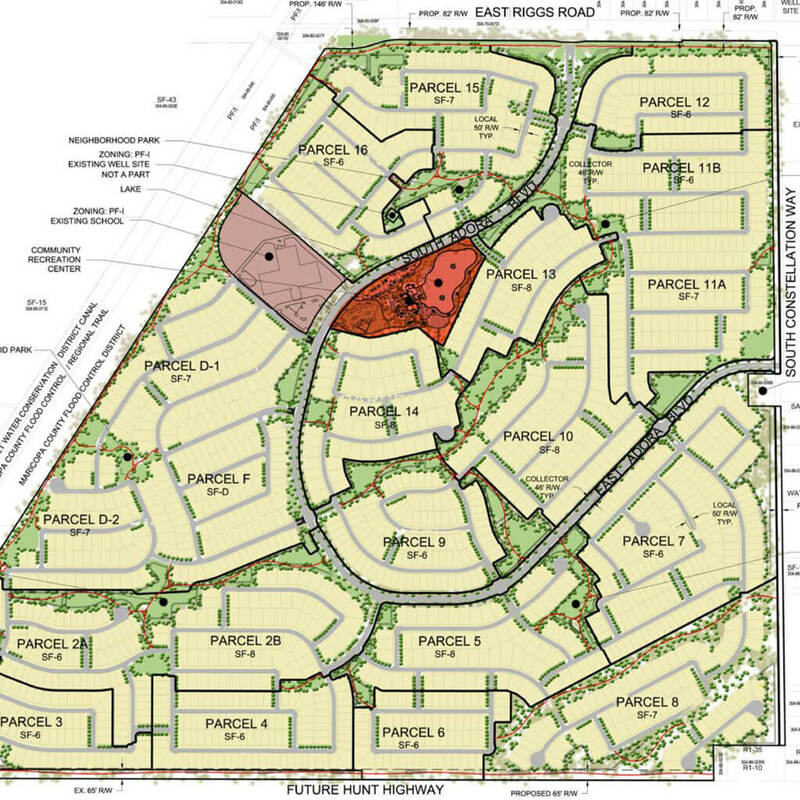 Significant rezoning work was needed to assure the town and neighbors that the increase in density would be offset by the quality of the project, parks, and trails.